Introduced in OS X version 10.8 (or as it’s more commonly called, “OS X Mountain Lion”), the Notes app was almost laughably bad. With one of the most ridiculous skeuomorphic user interfaces of all time, I hazard to guess no one used that app on a regular basis. Fast forward 4 years and 3 OS versions later, and the Notes app has become much more respectable. Today Notes can proudly face-off against strong third-party options like Microsoft OneNote or Evernote. 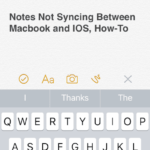 Now, that isn’t to say that Notes does everything you could ever dream of in a notes app, but it does enough to be useful to a large majority of people out there. 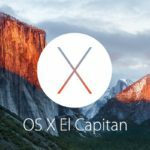 If you’re curious to know if Notes in OS X El Capitan is the notes app you’ve always been looking for, let me walk you through some of its features. Folder List — This view allows you to choose between your various folders. Selecting a folder changes what appears in the Note List. From the Folder List you can do a lot which we’ll cover in more detail in a moment. 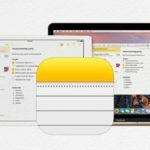 Note List — This lists out whatever notes are within the selected folder. Note View — This shows the currently selected note, and is the area where you can actually write. 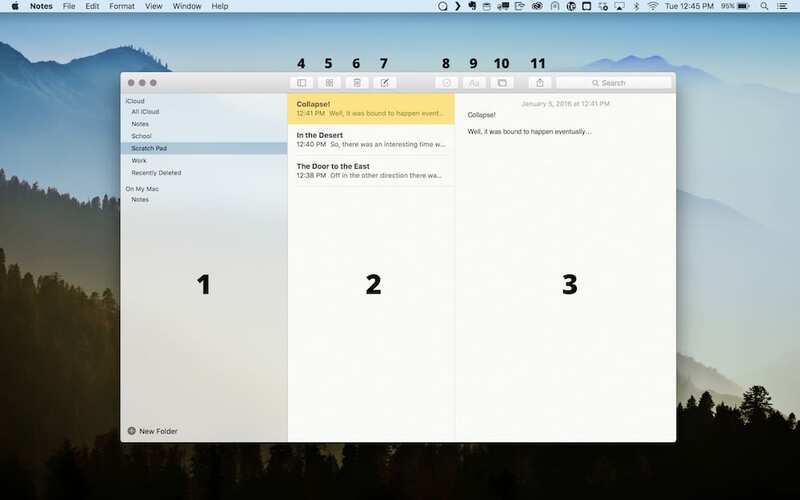 Folder List Toggle — This button toggles the visibility of the Folder List if you’re interested in a more distraction-free writing environment. 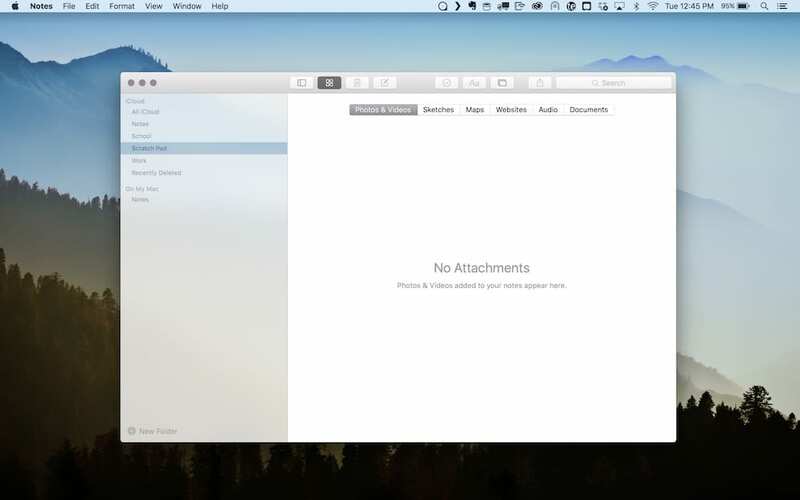 Attachment View Toggle — This button toggles the Attachment View, which we’ll talk about more in a bit. 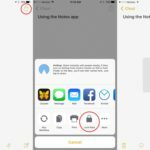 Delete Note — Sends the currently selected note into the trash. 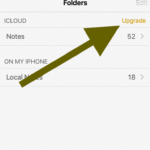 New Note — Creates a new note within the currently selected folder. Insert Checkbox — This is a new feature of Notes in OS X El Capitan, and it allows you to insert a checkbox. That checkbox can then be toggled back and forth as much as you’d like. It’s a faster and more useful way to create a quick to-do list on the fly. Heading Selector — Another new feature of Notes, this lets you assign pre-designed headings to the content in your note. There’s just enough options here to be useful, but not so many that it gets confusing. Insert Attachment — This button opens up a floating window which gives you access to images found in either the Photos app or the Photo Booth app. Share Sheet — Found across both iOS and OS X these days, this share sheet behaves as expected, giving you a list of options where you can “share” your note. The Folder List view actually allows for a lot of different things. You can create new folders, re-arrange the order in which they’re listed, or rename pre-existing ones. In fact, you can take things one step further, and drag folders inside other folders to create a nested structure. This sort of customizable folder structure really elevates Notes and lets you reasonably store a whole lot more notes than you might otherwise. 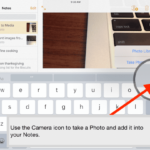 The Attachment View is another new feature that really increases the utility of Notes. 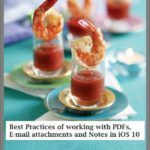 You can attach a wide variety of different file types to your notes. 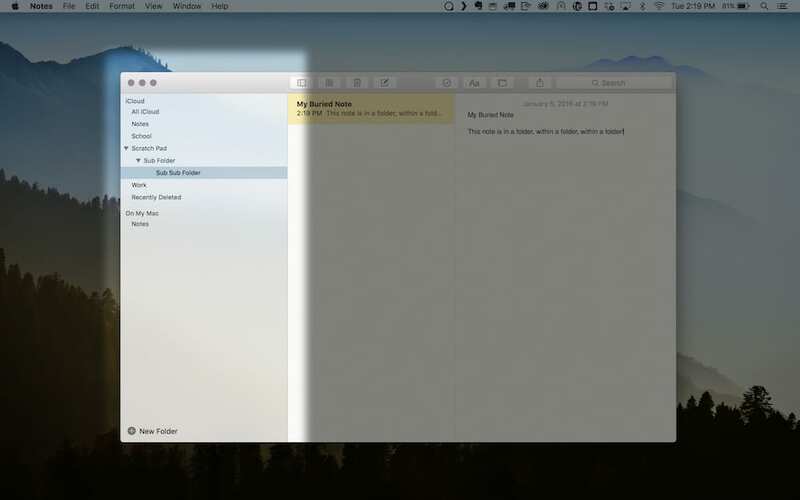 The easiest way to do this is by dragging and dropping the files from a Finder window into the Note View. From the Attachment View you can get a feel for all the different attachments you have across your library of notes. 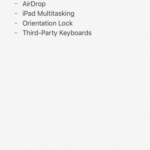 I really think that the new Notes app released in OS X El Capitan is a significant improvement. It elevates what seemed at first to be a purposeless app designed to simulate parity with iOS into a full-featured digital notebook capable of meeting the note-taking needs of most people.